“Can I get my hba1c done?” I asked my diabetes educator, the minute I walked through the door. I waited for what felt like forever, my attention shifting from a wall clock identical to those in my high school, to a weary poster from the 90s shouting reduced risks of cardiovascular diseases for every 1% drop in my hba1c. As I sat there, exhausted after a full on day and a week of rollercoaster blood sugar levels, I wondered what my hba1c might look like. I hadn’t set the bar very high for myself. I was convinced I wouldn’t be anywhere close to my personal goal. I’d be lucky just to clear the 7% mark, at best. Even though we say all the time that we are more than just numbers, it’s so freaking hard not to feel defined by one. Every day, I wake up to numbers. I make decisions based on numbers. I over-analyse numbers. I feel frustration over numbers. My long term health is dependent on the numbers. Numbers are the very last thing I see, before I go to bed at night. I’d be lying if I said that my last hba1c hadn’t been hanging over my head since August. I’ve poured my blood, sweat and tears into my numbers over the past few months. But as my diabetes educator made her return to the room, I was about to learn that all of that effort had paid off. “I can’t believe it!” I said to myself, leaning back and shooting both my arms up into the air in victory. Not only had I bested my personal goal, but I had clocked in over a point lower than August, and had set a new personal best. I felt a million miles lighter. I felt like a weight had been lifted off of my shoulders. I felt like I was sitting on top of the world. I felt free. I couldn’t wipe the grin off my face as I stepped out into the mild, sunny November afternoon. As I made my way down Hospital Avenue and back to my car, I kept repeating my new a1c over and over in my head. I made a pit stop at San Churros on the way home for a Spanish White Hot Chocolate. A big plate of Connoisseur Belgian Chocolate Ice Cream followed when I arrived home, as I eagerly told my family the news. I felt proud. 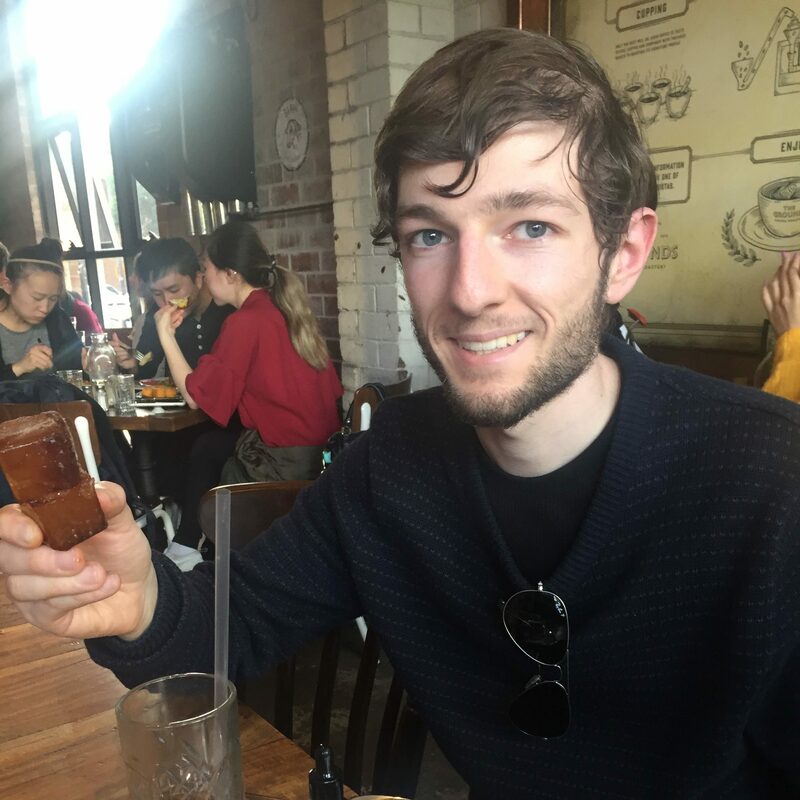 I had fought a gruelling battle to regain some form of control over my blood sugar levels in the past year, and I had come out on the other side stronger than ever. In that moment, I had won. The very last thing that I was expecting to hear was that my hba1c had gone up after three months on an insulin pump. I mean, I wasn’t expecting dramatic improvement straight away. I knew full well that my pump is not a magic wand. 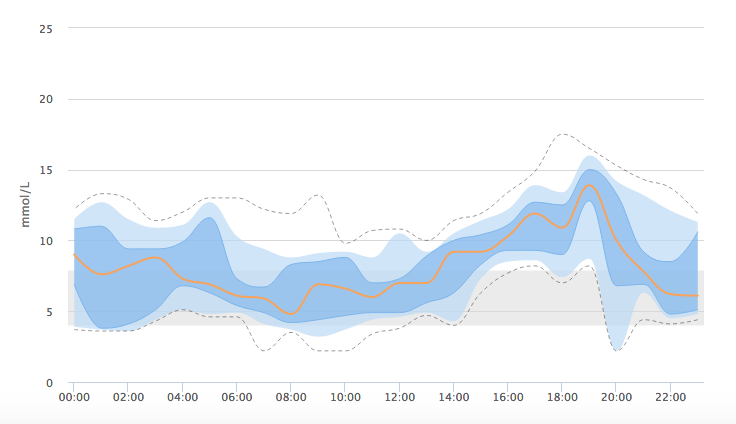 I knew that my glucose levels were fluctuating far too much pre-pump. When we looked at my Ambulatory Glucose Profile with Gwen back in May, she said just as much to me. But I definitely believe that this variance is much tighter today. I feel I don’t peak above 15mmol half as often as I used to. Lows aren’t too bad either, but they are definitely a work in progress. I’ve been putting so much work into my diabetes. More than I used to on injections. So I guess I went in there, mentally prepared to hear that my a1c result was the same. But definitely not half a point higher than my last one. For a while now, I’ve stared at half decent a1c results. The doctors have been quick to dismiss me, but I’ve never truly felt satisfied with my results. Deep down, I knew that my levels were fluctuating far too much. I knew that I was peaking way too high after meals, and having far too many lows. I knew that my a1c result was not an accurate representation of what was going on with my levels. But I never had the courage to ask for help. I pushed these thoughts to the back of my mind, telling myself I would fix that problem before my next check up in six months time. But I never quite got around to it. So, I guess there was a damn good reason for the rise in my hba1c result last week. For the first time in a long time, I have a clear picture of where my glucose levels actually sit. It definitely means that I have made some progress. But at the same time, my goal post feels a lot further away. I am realising just how much hard work lies ahead of me in order to get that a1c to where I want it to be. As I made a long drive home in peak hour traffic and pouring rain, it was hard not to feel disappointed. It was really hard not having Gwen, who recently retired, there with me that day. She had been with me all the way through my journey, and I’m sure that she would have understood exactly where I was at. I’m sure she would have known exactly what to say. I dream of the celebratory dinner I’ll have when I get my a1c to where I want it to be. I dream of the satisfaction I’ll feel. The grin on my face. The sense of achievement. The victory. Feeling somewhat in control of this unpredictable disease. And the cake. I am motivated. I know that I have made some solid progress in these last three months. I know that I am going make it to that dinner table one day. I went down to my local pharmacy yesterday to order some consumables for my insulin pump. Specifically, I had chosen a box of Comfort infusion sets (thanks for the suggestion, Laddie) in response to some of my recent site failures. I pointed out to the Pharmacist that I had not purchased this item before, because I knew that the computer would notify her of this. “Why do you need a different one?” She asked me. I explained that I wanted to try a different kind of infusion set, because I had been having some site failures recently. I found this line of questioning rather bizarre, because prior to the recent NDSS changes in Australia I could easily jump onto the computer and order whatever I liked with no questions asked. Besides, would you really expect me to call my educator if I wanted to change the colour, or length of my infusion site? Do you really expect that the needs of my diabetes aren’t going to change ever again? I think she was only trying to make sure that I was ordering a product that would be compatible with my pump, and that I understood that I would not be able to bring it back. There is a lot of uncertainty at the moment while the delivery of diabetes consumables is shifting from online to pharmacies, and she was probably making sure I wasn’t being wasteful. There is a lot of fear and sensationalism being spread around on social media. Many are over ordering in response, leading to shortages in the supply of diabetes consumables. 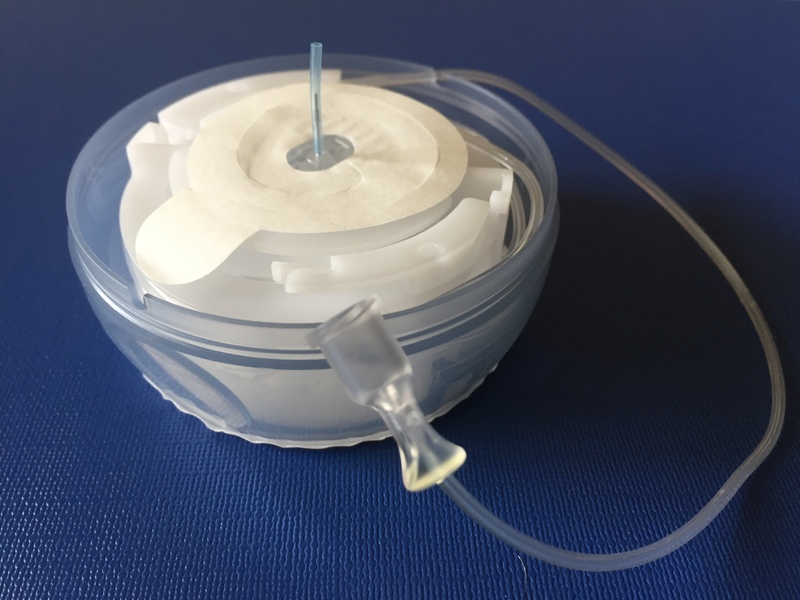 I made it clear that I had done my research prior to selecting the product, and that I was only purchasing the one box because I wasn’t sure if I will like using this type of infusion set. Pharmacist questions always make me uncomfortable. Even when I walk in there with the flu requesting Demazin tablets, they always question me about the symptoms I am experiencing. I just try to remind myself that it’s a Pharmacist’s job to ask the hard questions. It’s their job to make sure that we are ordering the correct medications for ourselves. It’s their job to make sure that we are not being wasteful. I’ve been buying diabetes consumables from my local pharmacy since I was diagnosed. Having a good relationship with them over the years has really paid off. They’ve given me insulin when I presented an expired prescription once. They eventually gave me the test strips after I was told I had purchased too many last year (I wrote about this here). They know that I have diabetes and they understand what I need. If there’s one golden piece of advice I would give to Australians affected by changes to the delivery of diabetes consumables, it would be to find a local pharmacy and build a good relationship with them. Answering to people that I’ve known for well over six years makes those hard questions a little less uncomfortable. Sidenote: You can read more about the NDSS changes here. An Exclusive Path to Improved A1C Outcomes? I was recently e-mailing a blog reader who was investigating a national diabetes management system. As I began to respond to the e-mail, I found myself feeling compelled to add more and more perspective to the question being asked of me. 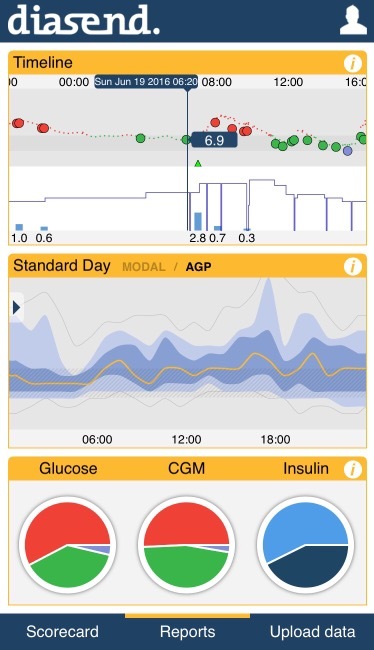 Diasend is the data management system I use with the team at my diabetes clinic. It allows me to upload the data from all of my diabetes devices – my blood glucose meters, my FreeStyle Libre and my Insulin Pump. I can manage my diabetes data in one place. For instance, I can look at my blood glucose level at 10pm last night, the basal rate of insulin being delivered at the time, and my most recent carb intake and bolus insulin dose. Even better is the fact that I can choose to share this data with the team at my diabetes clinic. 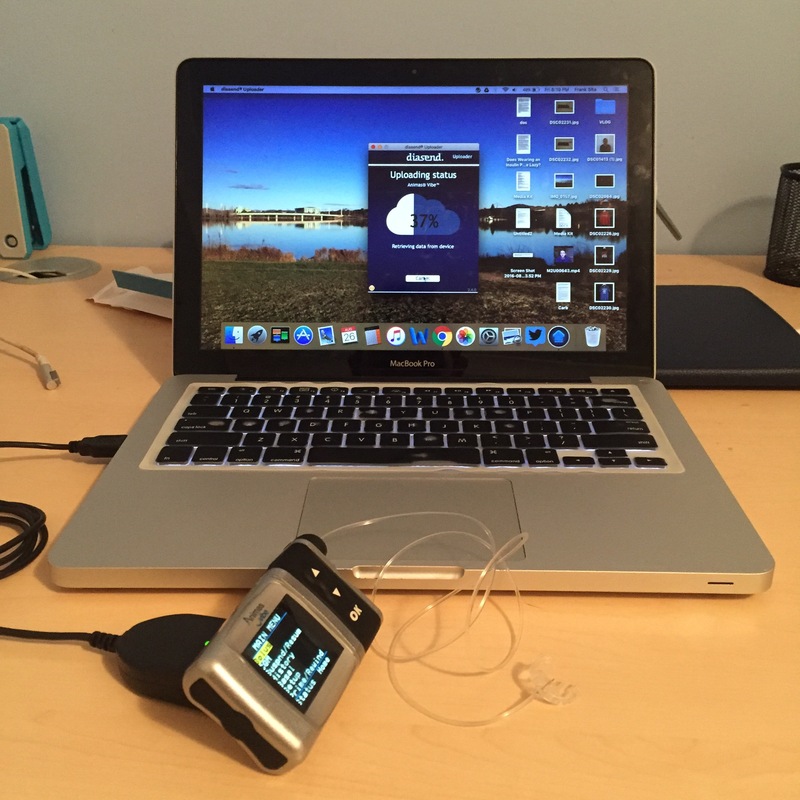 Prior to an appointment with my diabetes educator, I am able to upload all of my devices to Diasend. Gwen can better prepare for our education session, and I don’t need to wing my way through her questions around blank spaces in my logbook with umms and ahhs. It does force me to be more transparent around my results and the context surrounding particular occurrences, but I do have a great deal of trust in most of my team. The e-mail went on to suggest that a management system such as this one on a larger scale could result in improved A1C outcomes in patients. In some instances, I could envisage this being true. However, I felt compelled to explain that an A1C result is not necessarily the sole indicator of how well an individual or healthcare team is managing diabetes. How many times have I gone to test my blood glucose, expecting the moon and the stars, only to come back with something completely unexpected? Then I’ve had stellar A1C results in the past that have been praised, when deep down I know that I’ve been having far too many hypos. There are so many issues surrounding diabetes, that many of us deal with concurrently. Mental health and emotional health, for one. I have a few good connections in the DOC who deal with more than one autoimmune condition, such as rheumatoid arthritis or coeliac disease. Then there’s all the regular checkups we have to maintain. The time and the financial burden we must invest into staying healthy. The quality of my healthcare team makes all the difference, too. Some healthcare professionals can barely scrape the surface of what’s written in my chart. Others see the whole person behind the condition. They talk to me. They gather the full picture of what’s going on. They are empathetic. They give me their time, and their undivided attention. They go above and beyond their duty to help me succeed. However on top of all of this, we still do our best to live happy and fulfilling lives. That, in itself, is absolutely amazing. In my opinion, there is no exclusive path to improved A1C outcomes. But dealing with each of the bricks that cement the final result together definitely helps.